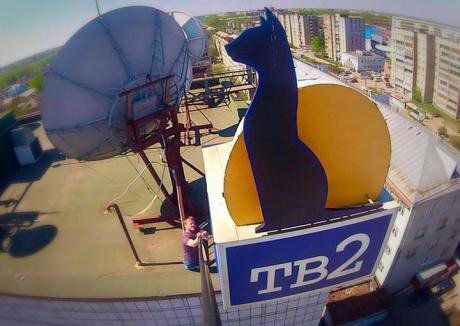 For the past 25 years, TV-2 has been a leading source of news and comment in Siberia. Source: TV-2.I still can’t get used to it. As I leave the TV-2 building, I pass an empty studio, an empty broadcasting room and some editing stations. At this time of day, everything used to be in full swing, with the evening edition of our “Rush Hour” programme getting ready to go on air. It was the busiest moment of the day. The producer would be chivvying the reporters, the technical team would be setting up the studio and the presenter would be in the makeup room. Phones would be ringing in the newsroom. Now it’s all quiet. The staff of the TV-2 website (all that remains of the company) is minimal — just a few people, and those on duty in the evening work from home. This is how we are marking TV-2’s 25th birthday. We haven’t been on air for 18 months, shut down by the authorities in early 2015. Our last programmes went out on New Year’s Eve, and after our broadcasting licence ran out on 8 February we were dropped from the cable networks. More than 100 members of staff of the TV channel and other affiliated elements of our parent company TMG Holding were made redundant. Some people found jobs in other Tomsk media outlets; some left the city and others left the country; some changed their profession and some are still unemployed. TV-2’s anniversary celebrations also coincided with the destruction of the editorial team at RBC agency, a bold and professional group of people that brought out a daily business paper and a monthly business magazine. 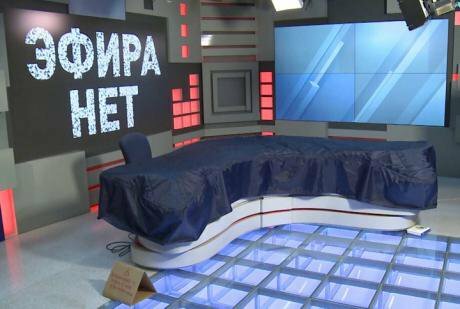 As Andrei Loshak, a prominent journalist, commented: “the only indicator of the professionalism of any Russian media outlet today is having it closed down”. The end of TV-2 is a sign of the times, just as its birth was a sign of the post-Soviet times. When Arkady Maiofis, a successful young reporter with Soviet state television, started telling his friends in 1990 about the possibility of setting up another kind of TV, outside the state system, it sounded like a complete fantasy. After all, we had never seen any other kind of TV. The fantasy became reality, it was that kind of time. One country faded away and died; a new one was born and with it everything new: banks, stock exchanges, private schools and universities. Not to mention private TV companies, all over the country, many of them not even run like a business. There was no advertising market at the time; no one knew how audiences could be monetised — the word “monetisation” itself was still unknown. The TV companies were born out of a need for free speech, or at least TV-2 was: we certainly had no business model. It wasn’t a coincidence that we chose a cat as our logo, or to be more precise, Kipling’s cat that “walked by himself, and all places were alike to him” – a symbol of freedom. It was unclear what we were to do with our freedom. But it was clear that being free was definitely better than the other option, as one government official remarked in a relatively recent and already not very free (but much freer than the present) time. This was why during the August Putsch of 1991, TV-2 was the only media outlet in Tomsk that maintained practically nonstop coverage (as far as that was possible in those distant pre-internet days) of the events in Moscow. There was no way we wanted to lose our new freedom. 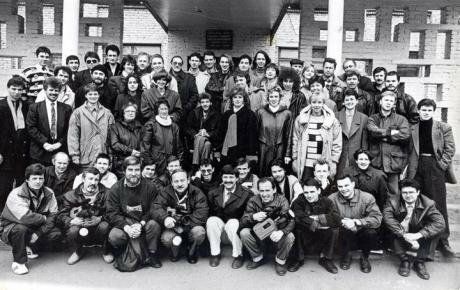 The team at TV-2, 1994. Source: TV-2.I remember what it was like doing those broadcasts — scary but fun. And there was a feeling that it wasn’t only your own future that depended on the words you spoke, but in some way the future of Russia itself. We were very naive, but that zeitgeist had a particular property, now lost – the future seemed open to us, and that gave us the strength to create new things pretty much out of nothing. The new private media sector didn’t develop in the Russian regions in a vacuum. It grew in parallel with the medium that allowed it to exist — business. Hundreds of private companies were springing up. Many didn’t last long, but for every business that closed, ten more opened. And even in relatively small cities such as Tomsk this led to the swift growth of an advertising market that in, its turn, provided a source of funding for the media. The 1990s were also a time when politics was a competitive environment. It’s odd to think back now, but we had public politics in Russia then. Parliamentary deputies squabbled with mayors; governors didn’t always get re-elected; parties didn’t keep running to the president’s office to coordinate their policies. People were keen to vote at elections, believing that the results might actually affect their lives in some way. The press was an important means of political communication. Any public figure of any stature in Tomsk was dying to get on our shows, and it was just the same in other cities. And the emergence of public politics was the most important factor in the success of the media. There’s one more important thing to note: the collapse of the Soviet Union meant, apart from anything else, the collapse of imperial forms of communication, where for the inhabitants of one sixth of the earth’s landmass the most important thing at any moment was what was happening in Moscow or coming from Moscow, whether it was an official circular or the latest issue of a literary monthly. Now, suddenly, local life — what was happening in your own back yard — was important as well. And this also stimulated people’s interest in their local media. I remember the “News – Local Time” competitions. These were run in the late 1990s by Internews, an organisation that made an enormous contribution to the development of regional TV, for which it was killed off in 2007. These competitions (for which I was a jury member) showed a huge range of local news and current affairs programmes, showcasing different styles and presentation techniques. They weren’t always as professional as they could be. Some had rather odd presenters — the news bulletins would be introduced by girls dressed in feather boas and lace sitting in front of a plywood backdrop. But the main thing was that the news bulletins were all different, and made us feel we were part of a large and diverse country. And this media community rapidly grew and flourished. TV companies worked together and learned from one another — both how to shoot the news and how to run a business. Then the wind changed. The Kremlin had a new boss, Vladimir Putin. The powers that be started to build a power vertical. And it turned out that the best way to do this was through the TV screen, and in some sense on the screen, without going out into the reality beyond it. Right at the time when everyone had just begun to ask “Who is this Mr Putin?”, I had a visit from someone from the security services, from the organisation that gave us our new head of government. He came on business. I had expressed some dissatisfaction about the fact that his agency didn’t exactly swamp us with information on its activities, and so they sent him to have a chat. He was in plain clothes, but his military bearing was a dead giveaway. In February 2015, TV-2 went off air. Source: TV-2. We talked about this and that, and had some coffee. As the agent left, he remarked with a smile: “You need to understand that your time is over. It’s our time now”. He was smiling, but his eyes were cold. I remember, at the time they shut down the old NTV channel in 2001 (in those days we tried to support our media colleagues, and held temporary shutdowns and pickets in solidarity), I corresponded with a journalist in Moscow, who more or less approved of what was happening. This journalist wrote about the various transgressions of Vladimir Gusinsky, the media mogul who owned NTV between 1993, when he set it up, and 2000 when it was taken over by a subsidiary of the energy giant Gazprom, and about a “conflict between corporate structures”. I replied that I couldn’t care less what kind of person Gusinsky was, but that I knew that with him out of the picture, sooner or later the authorities would move in on regional TV. In Russia, Moscow just has to drop a hint and everyone in the provinces knows what’s expected of them. Obviously, I don’t believe that the fate of Russia’s independent media was decided by just a change of Kremlin leadership. That would be too simple, and to some extent too optimistic, an explanation. One of the first TV programmes I was able to make back in the early 1990s was called “Lexicon”. We would talk to people on the street about words – what words like path, death, fear, progress, power meant to people. In those days members of the public were very happy to talk to someone holding a microphone, with a camera operator behind them. They wanted to get it all out, and spoke frankly and interestingly. And the first word we discussed then, at the end of 1993, was “freedom”. I’m looking now at those people who we talked to then. They all said different things. But it was all best summed up by a lady in a mink hat at the clothes market — she was evidently a trader, who would travel back and forth to other countries buying and selling small goods out of a suitcase. She was probably someone who had been to a local university or worked in a design office and was now responsible for feeding her entire family. In our programmes we often referred to Erich Fromm’s Fear of Freedom, but I remember that at that time, in 1993, it seemed as though we might just overcome that fear. I’m still not entirely in agreement with that lady. I believe there was a chance. But alas, what happened, happened – to our country and to our profession. The fate of TV-2 and similar media platforms was finally decided in the last two years. In today’s Russia, which some writers would describe as a class-defined state, the media’s only role is to service the propaganda needs of the ruling class. Oh, and it exists for entertainment purposes too. In their core function as providers of mass information, the media are now seen as a tool of the evil west, especially as, technologically, they follow a western model. It’s like a cargo cult. On the outside, everything seems much the same, but inside it is different. Formal institutions such as the Duma or the judicial system are rather like the Polynesians’ wooden headphones. They look like the real thing, but you can’t hear anything through them. Their function is different from that of the original objects. It’s the same with the media. They have to look right, but they have a different function. It would of course be possible to go along with this if I wanted. Being a historian by training, I have a good grasp of how all this archaism works and what to do and say in order to survive within the system. But I don’t want to, because this wasn’t why we created the TV company whose 25th birthday we just celebrated.